It’s been a long time since I last posted an item in this particular category in my blog. Not that I backslid with my faith or something. And no I didn’t fall away. Perhaps I became too busy with work, with other stuff in my life and even the ministry that I wasn’t able to pen down my thoughts about God and my journey with Him. Seems like I actually have time for myself because I can go out with my friends and do different stuff but I don’t really have time for myself. It’s confusing, I know, but I’m sure you can get the picture. I became so busy with my life and “worrying” about life that I felt I got lost in sync with my writer self. I could still write for my clients and other writing requirements from work, but I just found myself taking a long while before I could write something from the heart of late. I felt like I don’t have ‘it’ anymore. I was afraid that I lost it because of the busyness and other things occupying my day to day life now. When I had my staycation in a hotel during one of the holidays here in Vietnam, I even brought five different books to inspire me to write again. But I ended up going home without even a simple entry to my blog. Before, I could write a blog in just one sitting. Nowadays, it will take me hours staring at a blank page of my blog. And usually, I just end up clicking the X button and hitting ‘shut down’ just because I couldn’t start it at all. I became insecure and incapable. I prayed about it to God. I laid it down to Him and asked Him to give it to me again because writing is something I’m passionate to do. I want to write passionately again. I want to string words together again with so much passion that the people who read it could actually feel it and perhaps, relate to. I want to write again without thinking of what some people will say about it. No, this is not a matter of life and death. But it’s something dear to me that’s why this post deserves a spot in my blog. I think same goes for the songwriters and the singers or some actors. It will frustrate them at one point when they can’t do their craft passionately anymore like they used to. And writing is my craft. It’s something that God blessed me with so I want to use it to inspire people and to tell them stories about my journey with life and with God. That’s why I feel frustrated that I can’t do it comfortably as I did before. But now that I’ve already reached over 500 words and I’m already near the end of this post, and it’s not a blank page anymore, I know God is already working in my brains. It’s a great start to welcome me back to the world of words. And it’s not because I’m a writer that I can do this, but it’s because God is my God even with my simple frustrations like this. He answered me like a father helping his daughter open the stuck zipper of her bag. 1. I wonder why palagi na lang USA ang unang nakakaalam kapag may alien or end of the world effect at palaging sila ang bida? Bida bida lang? Hindi ba pwedeng sa Asia naman maipatapon ang susunod na Superhero? 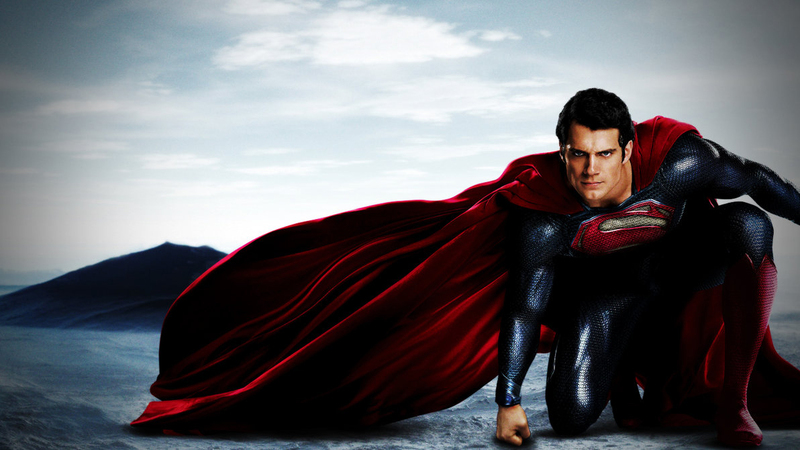 Or better yet, sa Pilipinas naman ang next na landing ni Clark Kent? 2. On second thought, baka nga naman hindi kayanin ng Pilipinas ang pangwasak na fighting scenes nila Superman at ni General Zod at baka matagalan bago maka-move on ang Pilipinas sa total damage cost ng fighting scenes na yan, so mabuti na ngang sa US na lang silang dalawa. 3. Bakit palaging hindi nasisira ang mga sementeryo sa movies nila? At take note, parang walang nangyaring delubyo sa sobrang peaceful ng itsura ng sementeryo nila! 4. Paano nakarating agad si Lois Lane dun sa final venue ng ligwakan ni Superman at ni General Zod? Hindi makapagantay si teh si moment nila ni kuya kaya agad-agad nasa scene na bigla? 5. Tanong ng badet ko na pinsan: bakit laging babae dapat ang kapartner ng mga super hero na lalaki? Hindi ba pedeng bading naman sa next? May discrimination! 6. Mahilig magsampay ng telang pula ang foster mommy ni Clark Kent kaya ayun, nainspire si kuya na gawing cape ang mga telang pula ni mamah! 7. Hindi pala ako pedeng maging girlfriend ni Superman. Mahina ako sa instructions. 8. Hindi ko talaga sya pedeng maging boyfriend dahil takot ako sa heights. Hindi ko keri ang makipag sweet-sweet-an sa kanya sa himpapawid. At baka pag may fight scenes na at ako’y mahuhulog sa helicopter, hindi pa man ako lumalagpak sa lupa, tegi na ako dahil inatake na ako sa puso sa ere pa lang. Random Thoughts of a 20-something who is dreading the coming of the big 30. Okay, so this will be the last year that I would be included in the 20-something group of people. 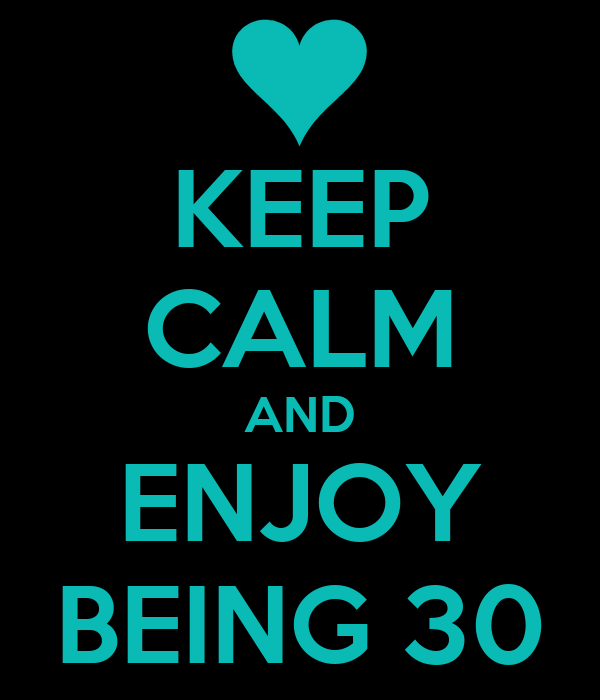 In a matter of months and days, I will be saying goodbye to my 20-something life and say hello to the big 30. You see, I don’t think I’m already prepared for it–that shift from 2 to 3 in my age and everything that comes along with it. I may be overreacting at some point but really, I’m just being realistic here. Not all women in the world would rejoice at the thought that they’re going to enter the 30-something age on their next birthday. In fact, when you try to Google for topics on being 30, you can see a lot of blog posts about that–how to deal with it, get over it and celebrate it. And maybe, just maybe, I’m part of that big chunk of women who are somehow, cringing at the thought of being 30. Or perhaps, I’m just having some case of hormonal imbalance while I’m blurting these out on this post that I couldn’t just stop myself from typing the thoughts running through my mind right now. Alright, so being 30 doesn’t really have to be so scary, right? I mean I know it would make a good number of changes in my life, my thoughts, and even in my body, but still, it’s just a number! Okay, that was me trying to convince myself that being 30 is nothing to be scared of. Oh please! I just want to be 30 and be done with that being-30-syndrome! I don’t know what will happen when I finally reach that age. Surely, i will still be living with my mom and my sister and I will still be sleeping with my mom and my sister on the same bed. I will still be teaching in a small preschool few steps from our house and will still be working online for a social media company in the afternoon. I’m hoping I could finish my Certificate in Professional Education course by next year and praying so hard that I would be able to pass the Licensure Exam for Teachers so I could have an additional government ID in my pretty yellow gold CHARLIE wallet given by one of the sweet parents in my former school. When I become 30, I would still be serving our church as one of its semi-active volunteers in some ministries, and perhaps doing a couple of one2one’s. When I become 30, I would still be friends with my highshool friends and we would still be spending some out of town getaways and dinner dates with each other and post pictures and brand ourselves #posers (and yes, that really comes with a hashtag). When I become 30, I would still be enjoying and loving the company of my church friends–the people who’ve helped me become less than warfreak and mean and who’ve inspired me to become the best person I could be. When I become 30, I would still be friends with my guy friends to whom I’ve never imagined being romantically involved with. These guy friends would still text me at the wee hours with messages that would say: “TSONG!” or “Beks!” or even calls me to invite me to some get-together, or even replies with my forwarded quotes with: “Ang arte mo! Magpakita ka naman!” But seriously, I really appreciate these guy friends of mine because even if they NEVER see me as a woman in the entire time that we’ve known each other, I know that they love and care for me. When I become 30, I would still be looking forward to laughter-filled bonding moments with my Moonlighting friends☺ I will still be the ‘maarte’ and RK of them all! When I become 30, I would still be friends with my friends whom I might never see often but will always have a special place in my heart. When I become 30, I would still be ‘kuripot’ or maybe even more since I believe I need to have more savings. I would still be budgeting my money between tithes, bills, travel funds, allowances for the entire month, buffers, some donations, and savings. When I become 30, I would still have my mood swings. There will still be days when I feel like singing in the rain or smiling at every people in the streets just as there will also be days when I feel like the world’s totally against me and only watching a feel-good Koreanovela could make me feel good. When I become 30, I would still be a fan of Vic Sotto, Joey de Leon and Eat Bulaga and swoon over Bamboo, Ely Buendia, and Lee Min Ho. When I become 30, I would still want to buy every book I find interesting in the bookstore but I will surely never be able to finish reading them–although I’m hoping I could. When I become 30, I would still be stalking the Sotto clan in Instagram and be amazed at how close they are with each other. When I become 30, I might still be reading Patty Laurel’s blog and still be inspired of her noble act of pursuing a teaching career rather than being in the limelight. When I become 30, I would still be a fan of Hillary Burton a.k.a Peyton Sawyer of One Tree Hill and I will still be randomly watching some One Tree Hill episodes that I like the most. When I become 30, I would still be the “ate” of my younger cousins whom they think is the best friend of Mother Nature and who will always remind them not to throw their litters on the floor but in the trashcan and never to waste water and paper. When I become 30, I might still find myself crying whenever I hear Phil Collins’ song “You’ll Be In My Heart” because it would still remind me of my former babies in my former school. I might also be looking at their photos in the school’s Facebook page and I couldn’t promise still that tears will not fall down whenever I do that. When I become 30, I would still be the only sister of my sister who will still have petty quarrels with her and nags her when her shoes is left outside of the shoe cabinet again or the towel she just used isn’t put out in the patio for drying or when there are too many bags left on the iron board. When I become 30, I would still be the eldest daughter of my Mother to whom she couldn’t hide her overspending with trivial stuff with because I will surely talk to her about it. I will still be her daughter who is sometimes her ally and sometimes her antagonist. When I become 30, who knows? I might become more mature not to make a big deal out of small stuff or not to entertain insecure thoughts and feelings (really hope I would!). I might also opt to spend less time with people who don’t make me feel good about myself or people who often says “i miss you” but never really find the time to see you or spend time with you. When I become 30, I would still have my connection with the family of my late boyfriend. I would still visit his grave every once in a while and I would still think of him and dream of him especially when I hear a song that reminds me of him. When I become 30, I might not still meet ‘the one” that God has planned for me but I will try not to give too much thought on that since I’ve grown to believe that women were created to just wait for that person and do what God desires for her to do and God will take care of every details of her love story (all thanks to the book Lady in Waiting, which I haven’t finished yet!). When I become 30, I would still be serving and praising Jesus and I will still be singing songs of worship for Him. I do hope, though, that I would be able to be more deliberate in spending my quiet time with Him. And seriously, I do think that writing those stuff above really did help me be more optimistic about being 30. Some 30 minutes ago, I was feeling soooo pathetic over being 30 in the next couple of months, but listing down those “when I become 30” thing somehow made me realize that being 30 doesn’t mean changing everything about your life. Hey, I could still do the things I do when I was 20-something when I hit the big 30! Really, writing my thoughts is actually one way for me to communicate with myself. Maybe, I just need to see in black and white what my mind is thinking just so I could have some realizations slapped on my face. And then again, I’m not sure of what I would be feeling again tomorrow. Or what I would be thinking and contemplating again. Sometimes, this habit of contemplating about life is just getting the best of me.